Noted whistleblower Daniel Ellsberg praised Manning. Prosecutors inadvertently disclosed last summer that they had a sealed indictment against Assange. Since 2010, when WikiLeaks published the documents Manning leaked, the U.S. government has been gunning for Assange. “The Obama administration had decided against trying to charge him because of fears that establishing a precedent that his actions were a crime could chill investigative journalism,” Charlie Savage wrote in The New York Times. 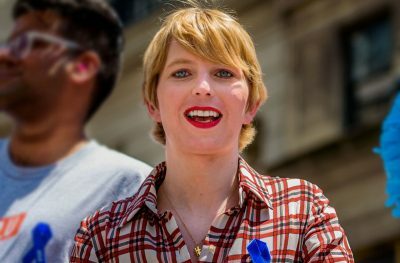 Manning told the judge at her guilty plea hearing that no one at WikiLeaks asked or encouraged her to give them documents. “No one associated with WLO [WikiLeaks Organization] pressured me into sending any more information,” she said. Indeed, prosecutors have utilized the grand jury as a tool to serve those in power. “In periods of great turmoil and dissent, when the exploited and oppressed vocally expressed their views, often for the first time, the grand jury, rather than protecting the rights of the dissenters, stood on the side of the rich and powerful, to protect the status quo,” civil rights attorney Michael Deutsch wrote in a law review article tracing the history of abuse by grand juries. “After WikiLeaks published [her] documentation of Iraqi torture centers established by the United States, the Iraqi government refused Obama’s request to extend immunity to U.S. soldiers who commit criminal and civil offenses there. As a result, Obama had to withdraw U.S. troops from Iraq,” I wrote in 2013. “Manning knowingly risked her freedom then for truth-telling and actually suffered seven-and-a-half years in prison. I regard her as an American hero, and I admire her for what she is doing, risking and enduring right now,” Ellsberg said. No one understands better than he does.